IN BUD/SPIKE - Reg. $2250. We have a batch of very nice plants in 2.25" pots that are starting to bud (some with multiple flower spikes) and will be blooming just in time for the Holidays!!! Get them NOW while supplies last!!! Most are quite bushy and ready to be up-potted once flowering is done. 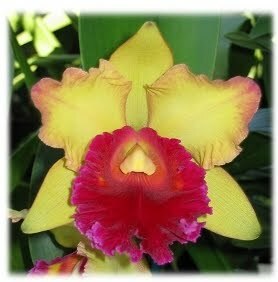 This is a must have for all orchid lovers. It is an easy to grow and bloom plant with sequential-blooming, fragrant, long lasting flowers. It is also a great "conversation piece" (see below)!!! Psh. Green Hornet is very similar looking to Psh. cochleata with larger blooms. Psh. cochleata is the national flower of Belize, where it is known as the "Black Orchid". It is also commonly known as the Cockleshell or Clamshell Orchid (some even call it the "Octopus Orchid" because of its inverted lip and long, down hanging petals & sepals).